Black Friday Personal Training Sale! 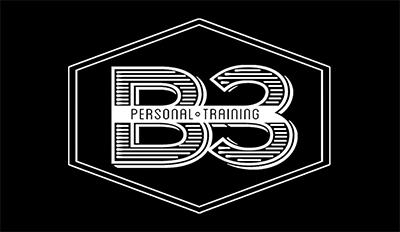 It’s time for B3 Personal Training’s Black Friday sale. We’re offering this specials for one day this year, Friday, November 23rd, 2018. All of our Premium and Gold personal training packages are on sale and you’ll receive BIG discounts when you purchase any of the packages for 2019! All you need to do is buy any of the packages for an entire year, paid in full, and enjoy the return on your investment in your health. Purchase a gift certificate for a friend or family member and spread the gift of fitness! Spend $105.00 for $135.00 (Three 1/2 hour sessions). Buy now! Spend $180.00 for $210.00 (Three 1 hour sessions). Buy now!